Amazon Underground customers will find 100% free versions of popular premium titles like Office Suite Professional 8 and Fruit Ninja and popular titles with in-app purchases like Frozen Free Fall, Star Wars Rebels: Recon Missions, Angry Birds Slingshot Stella, and many more. Any developer can submit their app, which means more apps and games will be added to Underground all the time. In most app store models, developers are paid a revenue share based on the initial purchase of the app or the in-app purchases. With Amazon Underground’s innovative monetization approach, Amazon pays you for every minute a customer uses your Amazon Underground app ($0.002/minute at launch), and customers pay nothing. There is no more guesswork around getting IAP optimized for the 2%-10% of customers that reportedly buy them. You can now focus on creating great content, storylines and characters that keep customers coming back. It’s all about increasing customer engagement. Normally you’d go to Google Play to download an Android app onto your phone. Google’s rules don’t allow an app that offers apps or games to be included in Google Play. So, customers need to download the Amazon Underground app directly from Amazon.com. Underground apps and games are also automatically available on Fire HD and Fire HDX tablets. 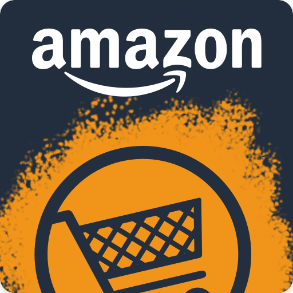 Developers interested in publishing apps and games for Amazon Underground just need to Register for a free developer account and submit your paid or IAP-supported Android app. You can learn more in the eligibility and submission checklist. Apps are free for customers and you start earning revenue for every minute customers use your Amazon Underground app.